How about we turn this addiction into an income generating venture? Wouldn’t it be nice to know you’re getting paid to pin stuff on Pinterest? It all starts with learning how to become a Pinterest marketer. As research has shown, many Pinterest users (especially women) will use the platform to research on products before they can make a purchasing decision. Many will normally buy something they’ve found on the platform. It for this reason that Pinterest has over the last few years grown in popularity as a marketing strategy for businesses. As more businesses continue to take notice of Pinterest, more pinning addicts can now turn their hobby into a full time gig. Becoming a Pinterest marketer will allow you to do something you love for financial gain. So how do you turn your hobby into a business? Today we share a few quick steps to help you learn how to become a Pinterest marketer and why we think its one of the best ways to earn money while travelling. What is a Pinterest marketer? A Pinterest marketer is someone who specialises in assisting businesses to use Pinterest to promote their products and services. Pinterest is a bit different from other social media platforms because it focuses on saving content for future reference and not for instant consumption as is with platforms such as Facebook and Twitter. A Pinterest marketer understands this and, therefore, comes up with strategies to make optimum use of the platform to promote businesses by generating web traffic and sales leads as well as building a business’s online presence. Pinterest is also great for establishing authority in an industry. What skills do you need to become an Pinterest marketer? Good Taste in Visuals: Photos are what get people addicted to Pinterest. Not just any photos but REALLY good photos. You, therefore, need to have a good eye for catchy images when you see them. A client may, at times, request you create Pinterest images yourself to keep up with their branding needs. A sense of style and creativity when it comes to good graphics will help you create images that people will want to click on and repin. Copywriting: It may appear as if copywriting is an unnecessary skill when it comes to Pinterest as the main focus is on images. However, each image is accompanied by a description. With so many images shared on the platform daily, your descriptions are what will help your images to be found by users. Writing persuasive descriptions is actually one the most important functions of a Pinterest marketer. You need awesome copywriting skills to be able to write good descriptions that will convince users to checkout the entire pin and even click on your link for more details about your product or service. SEO: SEO is important for the success of your Pinterest marketing effort because it helps in making your pins and boards easy to find within the platform and at the top of Search Engine Result Pages (SERPs). SEO skills are great as they help you understand how to use keywords to gain more visibility. Understanding the use of hashtag is also important for Pinterest. Use relevant hashtags when writing your image captions and board titles. Internet Marketing: Internet marketing skills help you to understand how traffic generation, collecting leads and converting leads into customers work. It also teaches you how you can make use Pinterest to achieve this for your clients. Efficiency: As is with any social media marketing job you need to be efficient as a Pinterest marketer. You need to be organised, have a strategy and follow through it. Your clients expect to see results for work done. Be task- and goal-oriented and make sure that you do everything that you’re tasked with. What does an Pinterest marketer do? How much do Pinterest marketers make? Payment differs from one freelancer to another. Rates will depend on your experience and skills. Most freelance Pinterest marketers will charge per project where they offer a package of services. This could be anything from $200- $1000. Others prefer to charge by the hour and charge between $10-100 per hour. Working as a Pinterest marketer is not difficult even for a newbie as long as you pay attention and learn how to become a freelance Pinterest marketer. We have 7 simple steps that if you follow to the letter, you will be ready to start working as a Pinterest marketer in no time. While there is no university or college course you can attend to earn a degree in Pinterest marketing, there are so many online courses available that will teach you various skills that will help you understand how Pinterest marketing works and how to make the most out of it for the success of your clients. One of the best ways of understanding how Pinterest works is by creating an account and running it as you would run a client’s account. Practice with all the available features and try out different strategies to see what works best. This way you will be able to propose Pinterest marketing strategies that you understand to your prospective clients. Creating a business account: If you’re an addict already you definitely have an account. What you now need to do is change your account from personal to business. You can do this from your settings. A business account is the best because you will be able to get analytics on how your account is performing as well as run Pinterest ads. Ads and analytics are not available for personal accounts. Optimise your profile: When you created your account for fun you didn’t give your profile details much thought, right? If you want to use Pinterest for business success you have to optimise your clients’ profiles. Here you should give as much information as possible including your photo (logo works best for businesses), link to your website and location. Remember to use relevant keywords when filling out the “about me” section. Set up boards: Boards are like categories of topics relevant to your business. Many people will normally have boards matching the categories in their blogs. When creating boards for your clients make sure they relate specifically to their brands. Again, remember to use keywords when naming and describing your boards. Using promoted pins: Promoted Pins is a paid ad platform on Pinterest similar to Facebook Ads. The platform lets you create pins that will be placed in front of your target audience at a fee. You can use your Pinterest account to run test ads just to see how the ad system works. Analytics: The platform generates analytics for business accounts that you can use to see how many followers, repins and views your boards and pins receive over a given period of time. Other than having a Pinterest account, increase your online presence by having a personal freelance website. A website is very important in helping you find clients interested in your Pinterest marketing services. With a website you have a platform to describe your services, charges, skills and showcase your past works. A freelance website also makes you look like a professional and a legitimate business. Clients are more likely to give you more attention if you have a freelance website because you tend to be more trustworthy and credible. Now most newbies start looking for clients without deciding how much they will charge them and what happens is that they take whatever is offered. This approach is bad because in most cases you will be paid a lot less that you’re worth. Think about the time and effort that is required in doing a Pinterest marketing job. Then consider how much experience you have, any investment you will need to spend on in order to get the work done and then come up with a rate. If you’re not sure how much you should be charging, do some research and see what other Pinterest marketers are charging for a better idea. Finding freelance clients is not always a walk in the park but if you know where to look then it shouldn’t be too hard. To find Pinterest marketing clients go online. You could start with freelancing platforms like Upwork, of course. Social media platforms such as Facebook groups are also a good place to look. LinkedIn is another good option. To make your search easy, first decide the kind of client you want. What industry should they be covering? Search Pinterest for businesses in that industry and then send them an email with a pitch on why they need your services. This is what is commonly referred to as cold pitching. Local businesses are also a good source of clients. Most local businesses don’t have a clue on how to best utilise Pinterest or simply don’t have the time to do it themselves. Approach local businesses and pitch your services. You never know who might be looking. Use your social media accounts (Facebook and Twitter) to let people know that you are now a Pinterest marketer and are looking for clients. Networking is very important for any freelancer. You cannot grow in isolation. Interacting and being part of a community of like minded freelancers will help you learn about how the industry works, stay updated on new trends and continue learning skills to build your business. There are lots of freelance communities online and offline as well. Check out Facebook and LinkedIn for online communities. Meetup.com and Eventbrite have lots of offline networking events that may appeal to you. This may not be possible at first if you haven’t done any Pinterest marketing related work before. 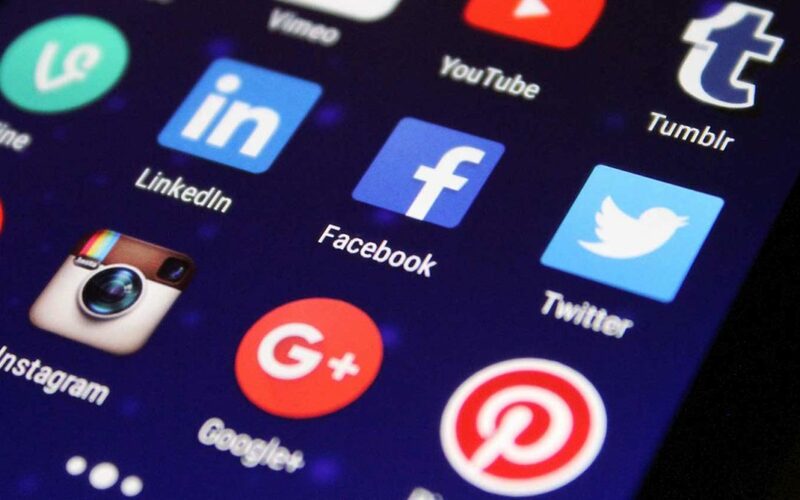 However, if you have any experience in social media marketing contact your old bosses, clients and colleagues and ask them to review your skills. Add a portfolio of your past work on your freelance website so that clients can see what you’re capable of doing. Reviews and a portfolio are great in improving your credibility and trust. As you get new clients and learn new skills, remember to keep your portfolio updated to reflect this. Craving the freedom to travel the world while still working full time? Don’t crave it anymore, make it happen! We have a detailed course to teach you how to make that happen. Join The Digital Nomad Roadmap program now. In addition to the above ways we’ve discussed on how to find a client, you can also use popular online freelance sites to find Pinterest marketing jobs. Competition on most of these sites is pretty high especially for new freelancers but the best part is that there are soo many jobs to compete for. Upwork: This is currently one of the big ones. Millions of freelancers are making a living working on projects they’ve found on Upwork. You too can get jobs to sustain your life on the site. Create an account on Upwork today and start bidding for Pinterest marketing jobs. Checkout our complete guide on how to be successful on Upwork here. Freelancer: Another very popular freelancing site that features millions of jobs. Create a profile on the site, pay the monthly premium and start participating in relevant contests for a chance to get hired. FlexJobs: Whether you’re looking for a full time freelance Pinterest marketing job or one that you can do part time, FlexJobs is a great platform to find something that works for you. Indeed: This one concentrates on connecting US and UK clients with freelancers from all over the world. You don’t need to be in the two countries to get hired. You also don’t need to create an account on the site to find jobs, you can simply do a search and then apply to jobs that interest you. Guru: This another useful platform that is steadily gaining popularity. It’s a newer site compared to the others, which is a good thing for new freelancers as competition is lower. Giving you a higher chance to get hired to do Pinterest as a job. Mashable Jobs Board: This is an online jobs board managed by Mashable the popular digital media website. There are lots of social media marketing jobs on the jobs board including Pinterest marketing jobs. Inbound.org: For the digital nomads interested in working as a Pinterest marketer as they travel the world Inbound.org is a good place to be. Here you’ll learn about the world of digital marketing and occasionally find ads of available Pinterest marketing jobs. Remote OK: This is another great site for digital nomads to find some good Pinterest marketing jobs. 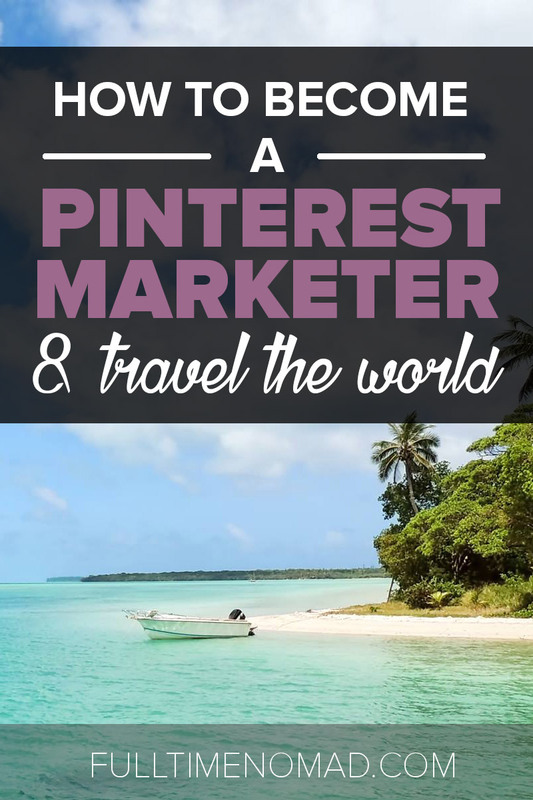 If your main desire is to travel the world and live the digital nomad life like we do, then you certainly made a pretty good decision to learn how to become a Pinterest marketer. Working as a Pinterest marketer lets you choose where to work from. You will never be limited to a place. Due to the nature of the platform, you don’t have to be at a particular place to do your job, unless it’s online :). Becoming a Pinterest marketer gives you the flexibility to plan your life in a way that incorporates full time travel. You get the freedom to schedule when to work and when to explore the world. See, it’s pretty possible to be a Pinterest addict, guilty free, because you’ll be getting paid for every time you experience Pinsomnia! Wow, this piece is awesome- I’ve really learnt a lot. I would love to be a Pinterest marketer and would love it if you could help me know how to add pins on a client’s board. Do I have to create a new board and pin on it and later mail to her? or I become a collaborator on her already existing board? or I sign in with her username and pin unto her board? Hi Doreen, happy to hear you found this helpful! In order to manage Pinterest for a client, you would have to get access to their account and pin to the relevant boards. Becoming a collaborator would post as you and you need to manage the account as your client. You can also use services like Buffer and Tailwind to manage, organise and post to Pinterest.